A “Dulcimer Dayfest” is planned for Saturday, May 17, 2014. Sponsored by Pine Hill Dulcimers & Friends (PHD) of Wiggins and supported by Stone County Arts Council, the event will be held at St. Francis Xavier Catholic Church at 1206 Central Avenue (Highway 26) in Wiggins, Mississippi. Prominent instructors Stephen Seifert of Tennessee and Jess Dickinson of Mississippi will teach Appalachian dulcimer (also known as “mountain” or “lap” dulcimer) and hammered dulcimer, respectively. Full-day registration of $40 covers four classes, a concert by the instructors, breaks and lunch. Preregistration by May 10 is strongly suggested. A limited number of loaner instruments will be available for those who request them, and new/used instruments and other items will be available for sale. 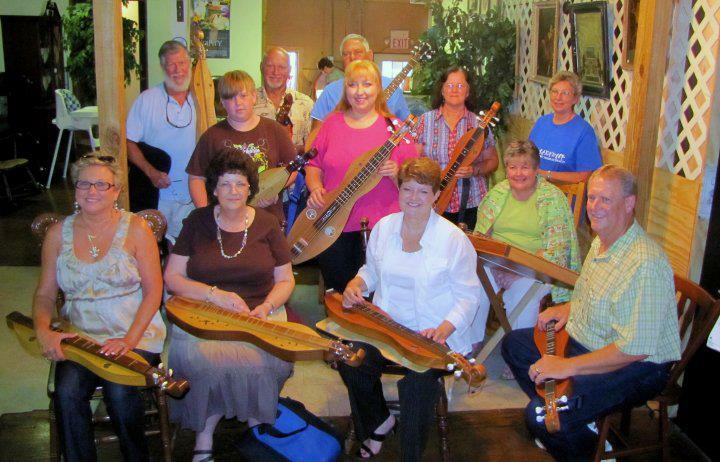 Pine Hill Dulcimers meets the second and fourth Thursdays of each month at 6 p.m. at Wiggins Presbyterian Church, 331 E. College Avenue (across from Blaylock Park tennis courts), Wiggins, Mississippi. It is not necessary to be able to read music to play the mountain dulcimer; lessons are free, and instruments are available locally. For more information or to register for the Dayfest, call Karen at 601-528-1663 (or email mcqueen8998@bellsouth.net) or call Tommy at 601-928-7204 or 601-716-6761 (or email thuntsman@hotmail.com).